This city and commune is located in the 10th Region of Los Lagos, on the shores of Lake Llanquihue. It is located 70 meters above sea level and has the presence of German settlers who arrived in the area during the years 1852 and 1853. Today it is one of the most important tourist centers of Chile. 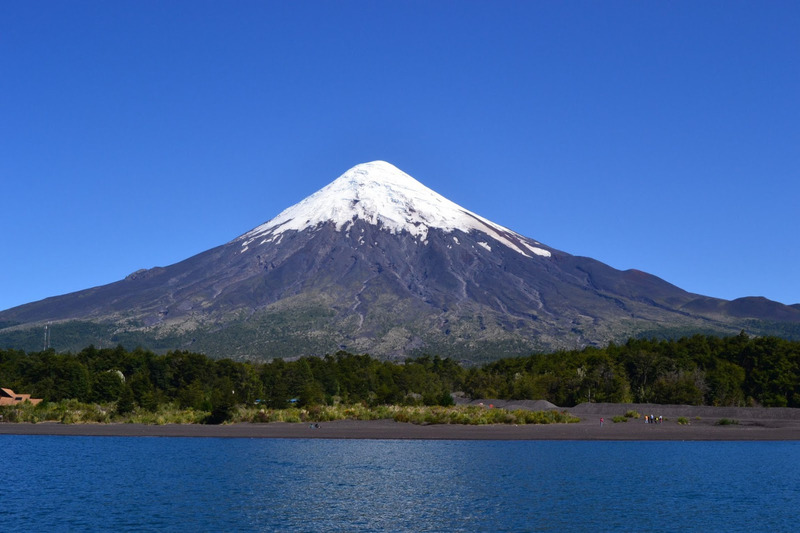 It is known as the City of Roses and Volcanoes for its beautiful squares full of roses, beautiful mountain style architecture with a privileged natural environment and natural landscapes and volcanoes like Osorno Volcano, Calbuco, Puntiagudo and Cerro Tronador. 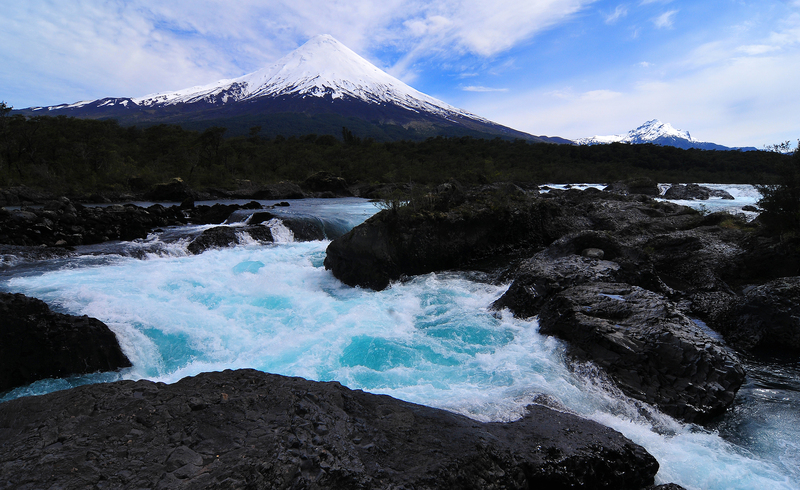 Other attractions in the area include the Saltos del Río Petrohue (Petrohue Falls) within the Vicente Perez Rosales National Park, Lake Todos los Santos, the Osorno Volcano Ski Center, among others where you can enjoy outdoor activities like hiking, horseback riding, volcano climbing, mountain climbing, fishing, rafting, etc..
Puerto Varas has a Typical Zone, where you can appreciate the German influence of architectural heritage available to the city. Also in its beautiful streets you can enjoy delicious traditional European style cuisine such as kuchenes, cakes, artisanal jams and handmade chocolates. 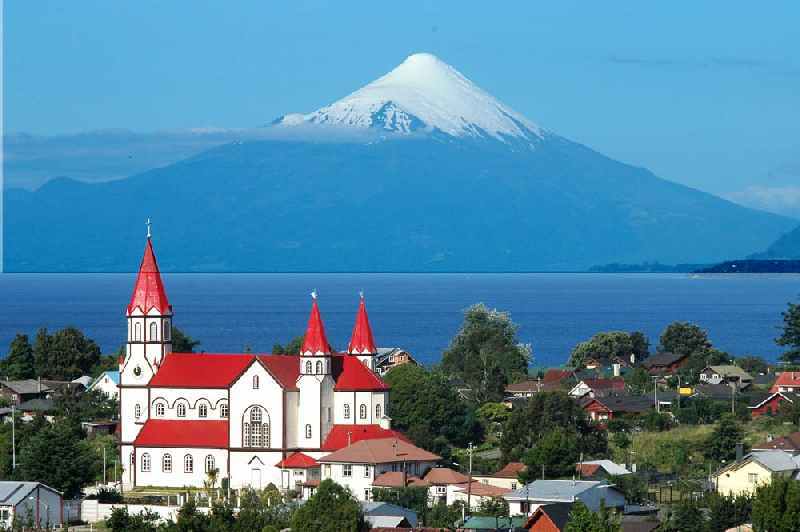 Puerto Varas is located near the border of Argentina and you can reach the city of San Carlos de Bariloche through the Paso Internacional Peulla. Also, it is located only 21 kilometers from Puerto Montt, one of the most important fishing centers in southern Chile.